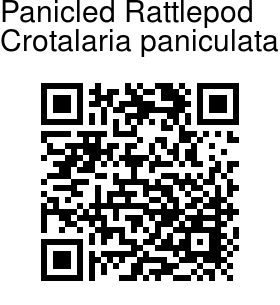 Panicled Rattlepod is a sticky, velvety undershrub up to 1.5 m tall, rusty hairy. Simple leaves are alternately arranged, oblong to inverted-lanceshaped, 2-5 x 0.5-1.5 cm, velvety, with a tiny point, not toothed, base narrowed. 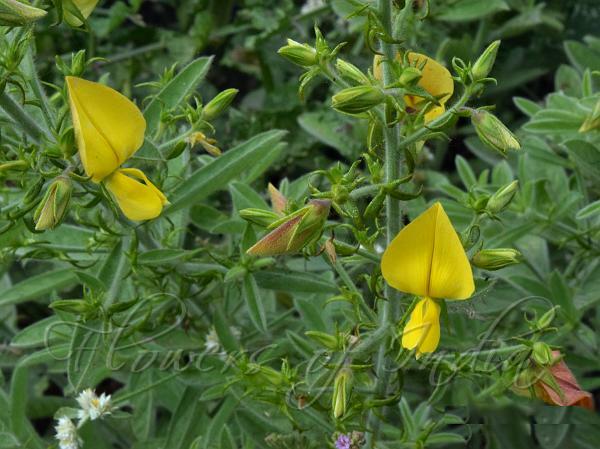 Yellow to reddish-brown pea-shaped flowers are borne in 13-20 cm long panciles. Pods are ellipsoid, velvet-hairy, horned, with 1-2 black seeds. Panicled Rattlepod is occasionally found in forests, and is native to India, found in the states of Andhra Pradesh, Karnataka and Tamil Nadu. Flowering: All year.